Here’s what I used. 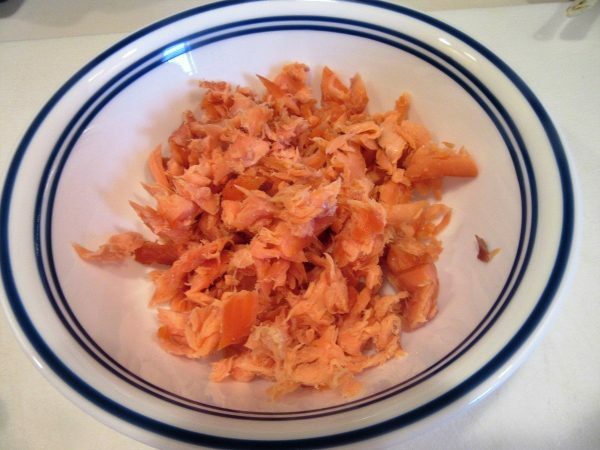 Let’s build us some Savory Smoked Trout Spread! First, go to Curlew Lake and come home with these beauties. Fillet them out. 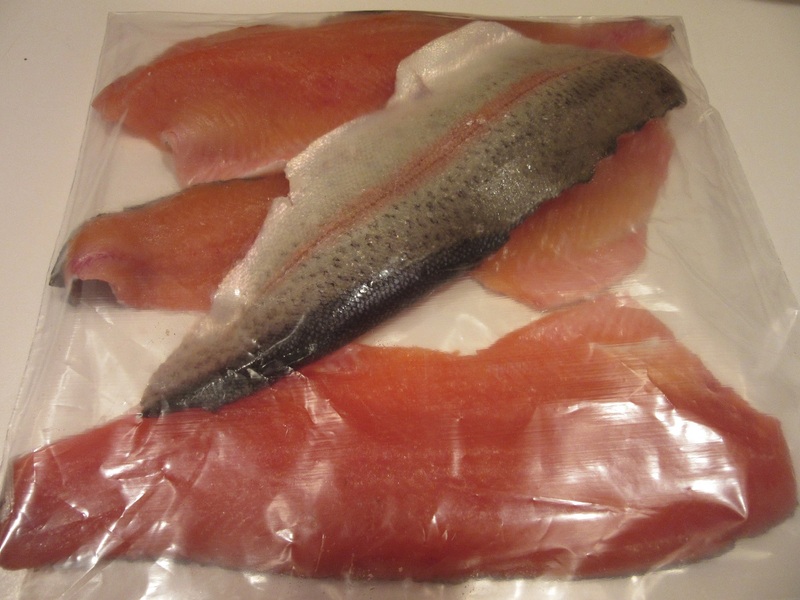 Then put them in a zippered bag with the brine for 24 hours. 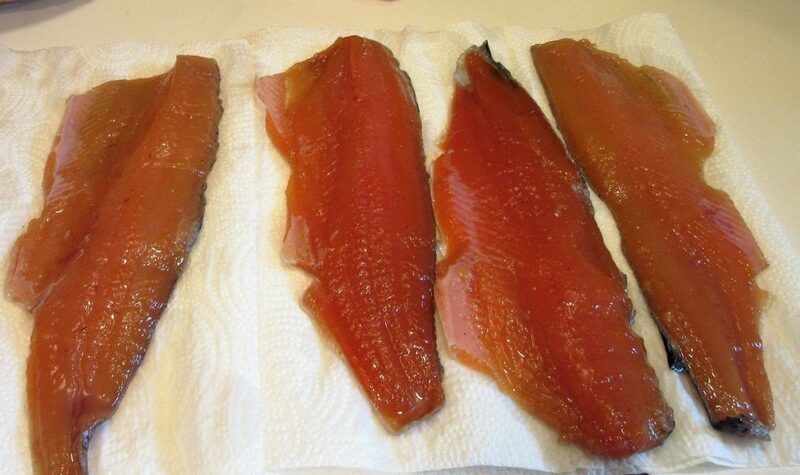 After brining,pat the fish fillets dry and get your smoker ready. 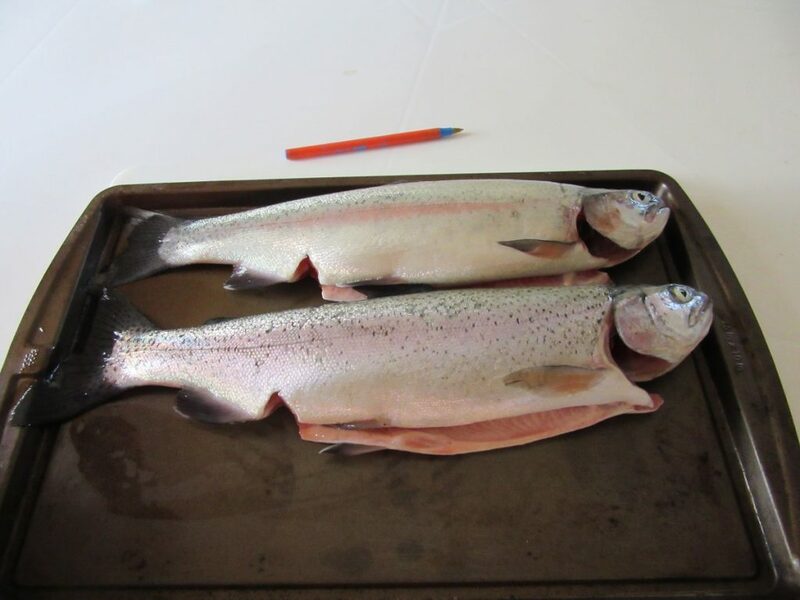 Oil the grills and place the brined trout on them. 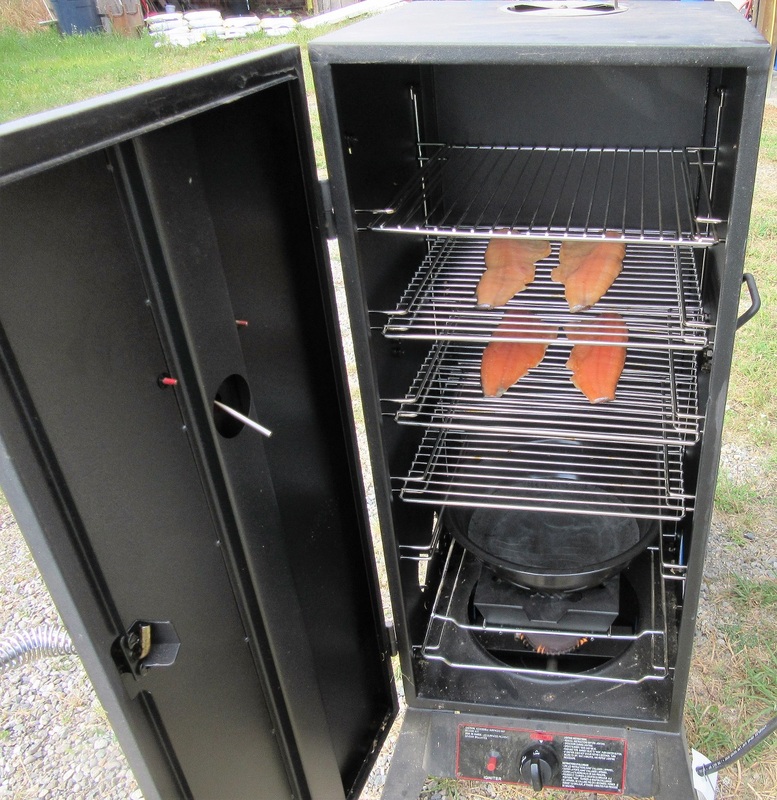 Make sure there is enough room in between the fillets for the smoke to circulate. Sparky smoked these for about 1-1/2 to 2 hours. Depends on their size. 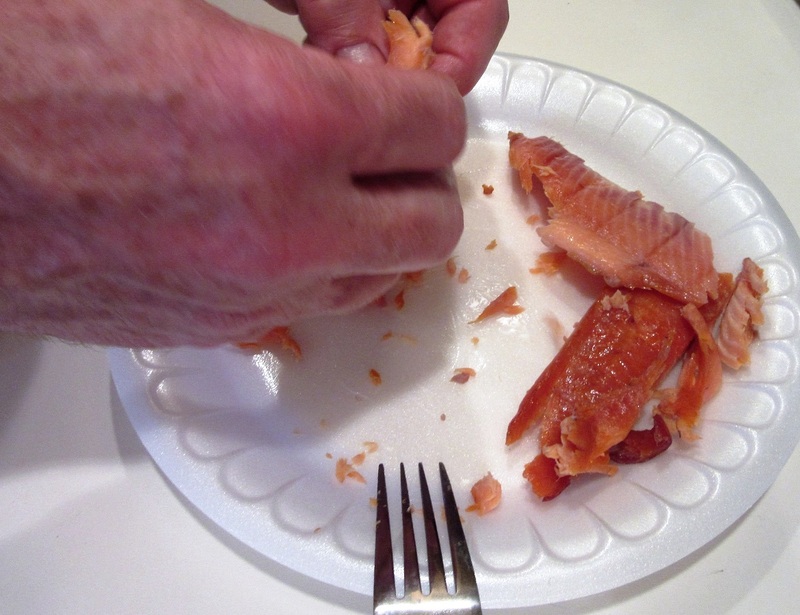 Dan flaking off the fish and removing any tiny pin bones. 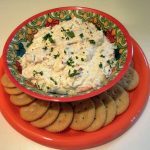 Smokey, creamy, scrumptious, mouthwatering delightfulness! A great way to impress friends and relatives with something unique at your summertime gatherings this year. A few simple ingredients elevates smoked trout to gourmet status. I think this would be a fantastic addition to a Holiday buffet too. 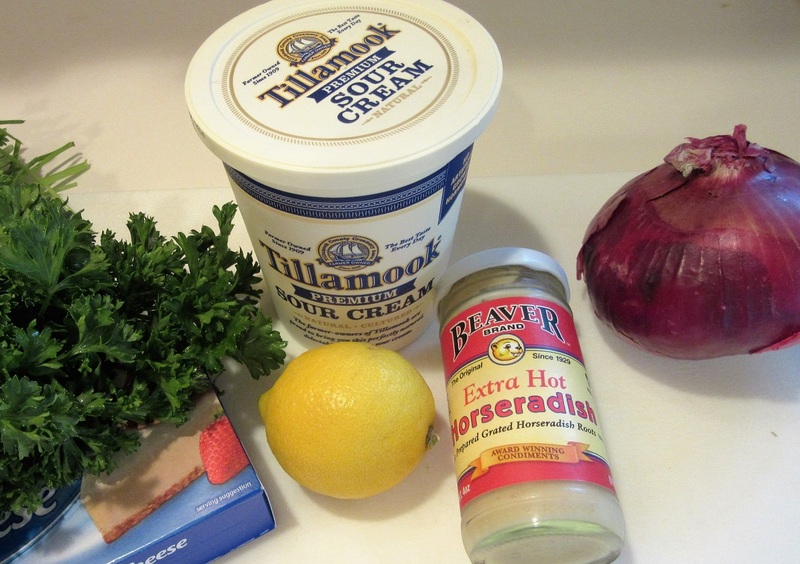 2 TBSP Horseradish not "Sauce"
Place the softened Cream Cheese, Sour Cream and Horseradish in a Food Processor or Blender and pulse until smooth. 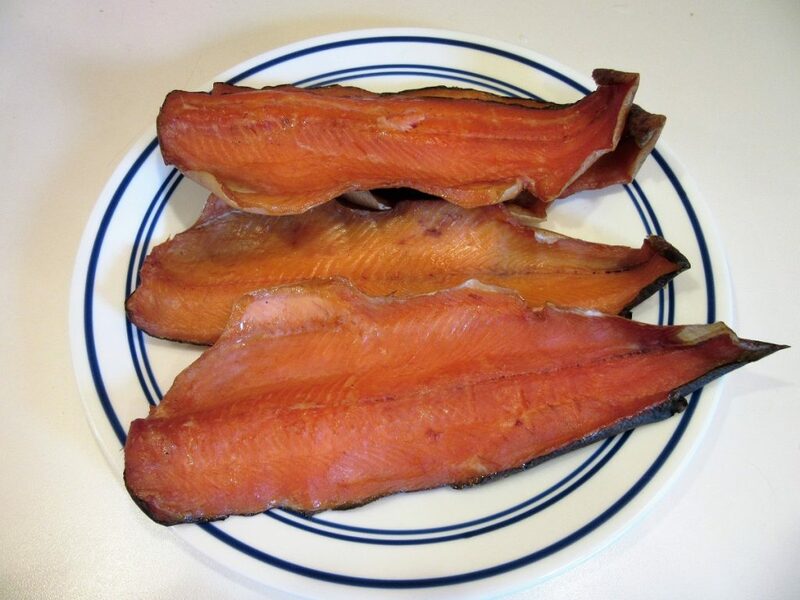 Add the flaked Smoked Trout and pulse until well combined. Place this mixture into a small mixing bowl and add the Red Onion, Lemon Juice and Parsley. Stir until well combined. Refrigerate until it firms up. 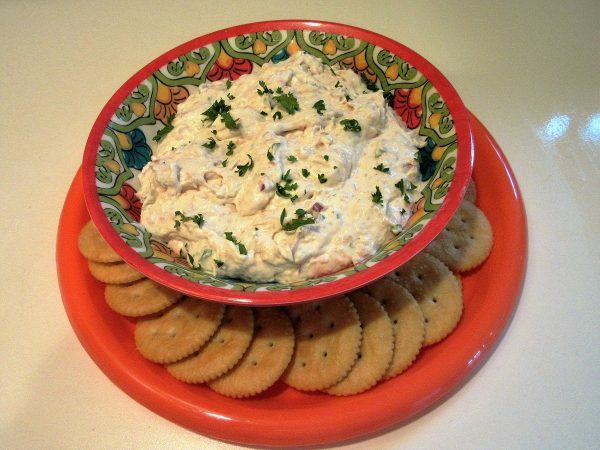 Serve with a variety of crackers. I found, Ritz, Wheat Thins and Triscuit type crackers work really well. Garnish if you are so inclined with chopped Capers, Lemon Zest, a dash of fresh Dill or a sprinkle of Paprika. Enjoy! Thanks so much for stopping by today! I hope you all have a summer of making memories with friends and family. Journey on! Excellent. So glad you posted this. It was yummy at the 4th celebration. Thank you!. Hi Lin, Next time we smoke a bunch, I’ll get some to you and Jim.